Pentatonic Pairs are created when the Major Pentatonic scale (1) is started on the 2nd scale step and the major 3rd is ommitted (2). 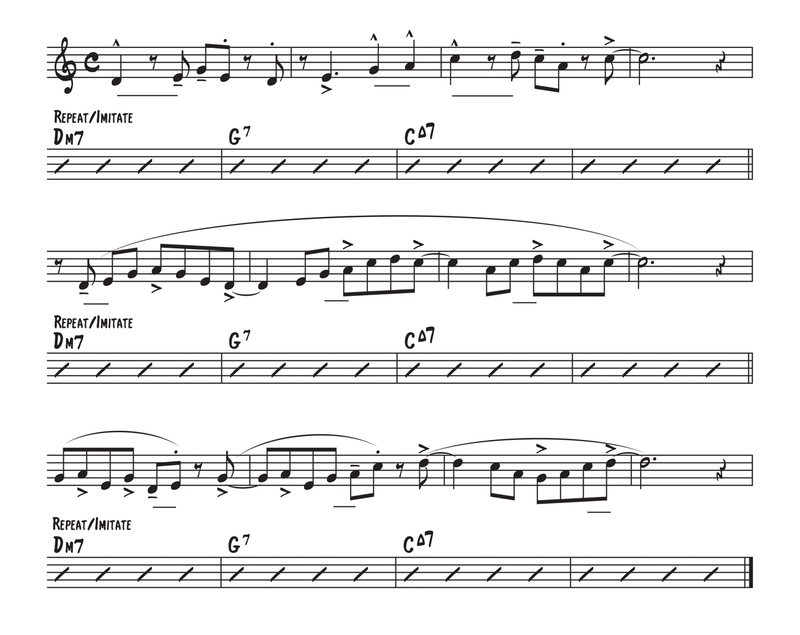 Pentatonic pairs create Melody Chains through the tonal centers around the Cycle of 4ths/5ths. In the following exercises you will hear how good these Pentatonic Pairs sound when they are combined with a few simple rhythms. 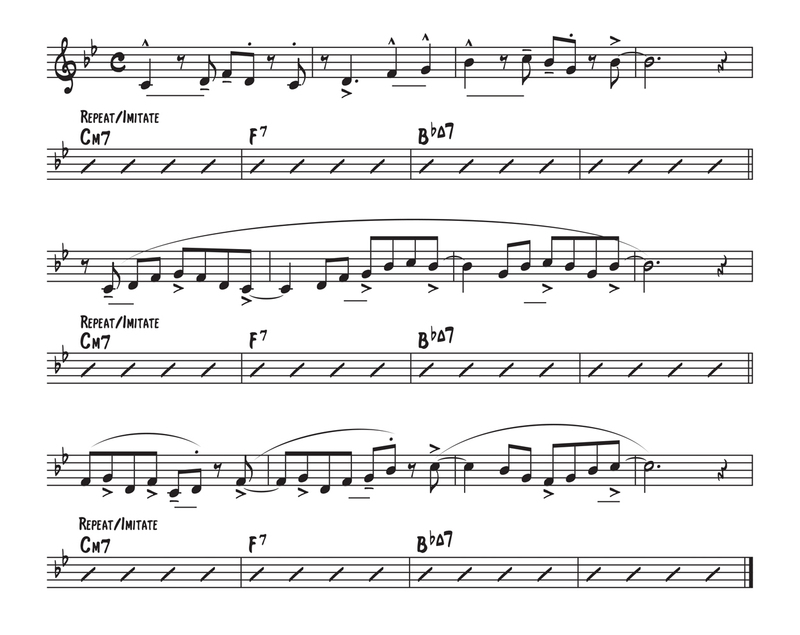 Learning to create jazz patterns with just the Pentatonic Pairs will help you establish and identify the sound of these Pentatonic Pairs as a system. 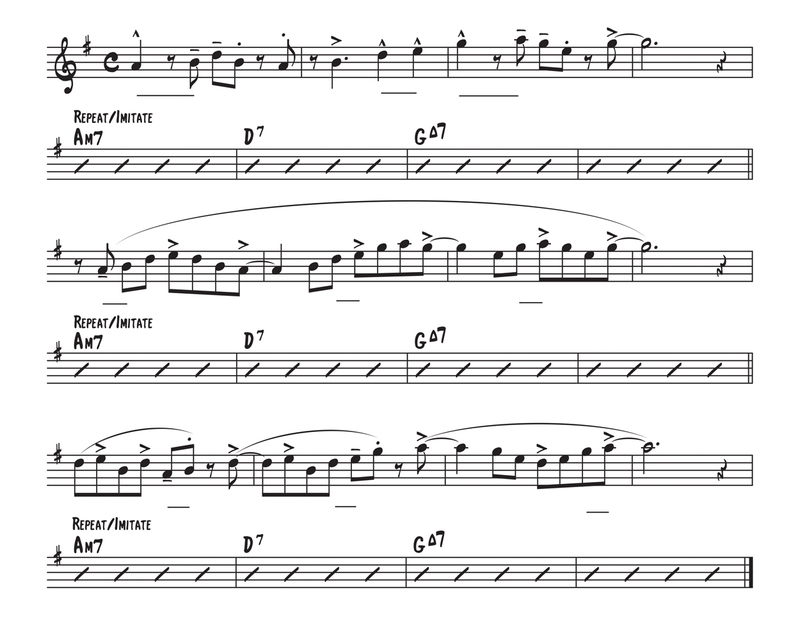 You will soon find this system invaluable as you learn and develop jazz vocabulary. 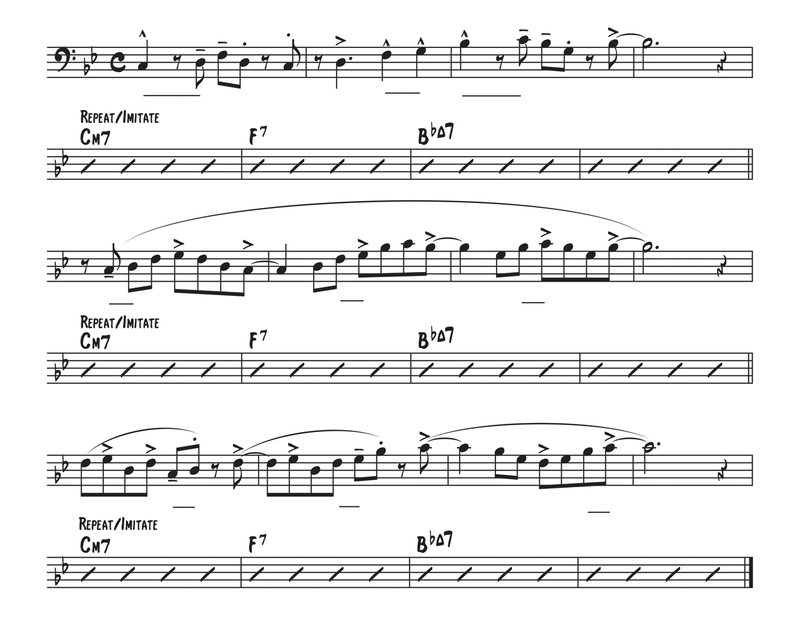 Listen, imitate and memorize these 4 bar patterns. Click and drag the left arrow to establish the loop starting point. Then click and drag the right to establish the ending point.